[CHANGE] Bottom menus now have a max-height and scroll so all of their contents aren't cut off when lists are long. [FIX] Removed property statuses from the bottom Maps menu. [FIX] Fixed issue where links in the Contacts menu at the bottom of the screen would take you to the wrong contact type. [NEW] Added Public Note to public XML feed. 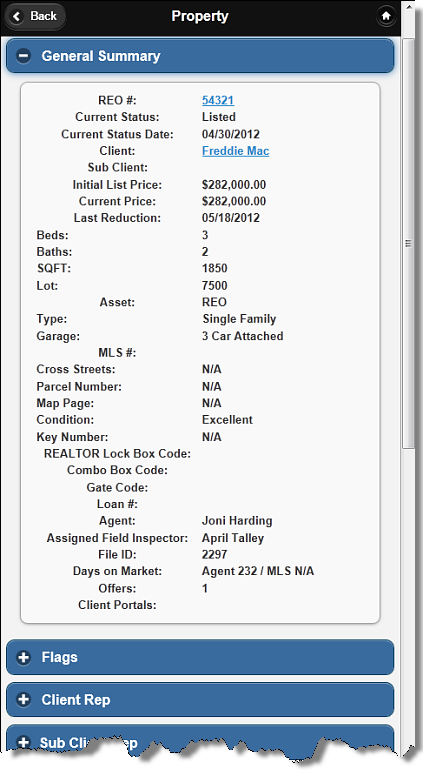 [NEW] Added ability to change property info header color based on asset type. [NEW] Added support for Client Rep Addresses. [NEW] Added support for Client / Sub Client on Properties. [FIX] Fixed issue where "click to enlarge" wasn't working on evictions page. [NEW] Flags can now be edited via a modal window by clicking on flag icons in the property header or from a property list. [CHANGE] Creation date and time now display in the caption line of all forms. [CHANGE] General inspection comments now include a message indicating if the Notify checkbox was checked. [NEW] Added Rental Restriction to HOA. [NEW] Added Pet Restriction to HOA. [NEW] Added flags to property summary on mobile site. [CHANGE] Mobile site displays accepted offer loan type. [CHANGE] Cleaned up property summary page on mobile site. 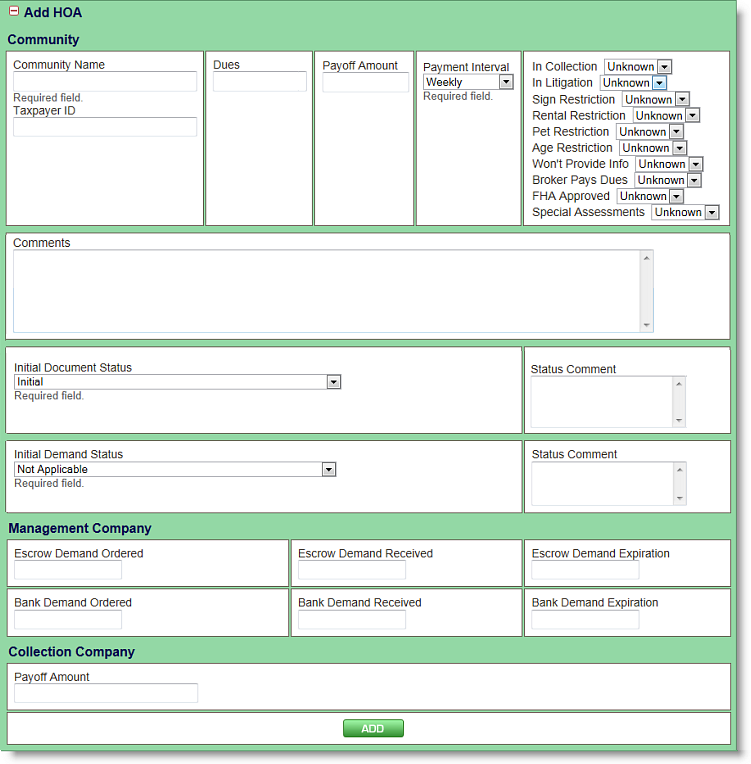 [NEW] Added Owner Occupied to offer comparison grid. photos can be viewed in Property > Photos. appear to leave the photo in the system. [NEW] Added Seller Representation asset type. [NEW] Preservations can now be displayed in a specific order. This is controlled in Admin > Preservation Statuses > Preservation Order. [CHANGE] Loosened restriction on approving preservation bids. Preservations do not need to be in the Bids Received status to approve anymore. [FIX] Fixed bug where color would not save when adding a new repair status. [NEW] Added City as Property Report search criteria. 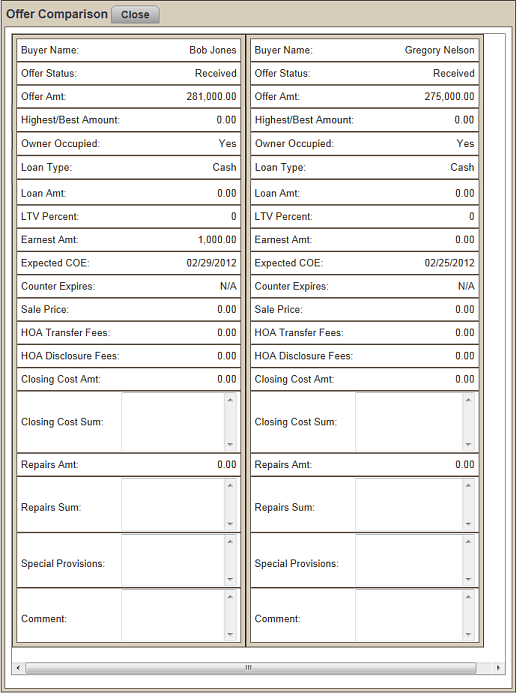 [NEW] Added Days In Escrow as viewable column to Property Report. [NEW] Added Expected COE Date as visible column in inspection report. [FIX] Fixed issue where non-super-users could not create Utility Companies across the different markets they had access to. 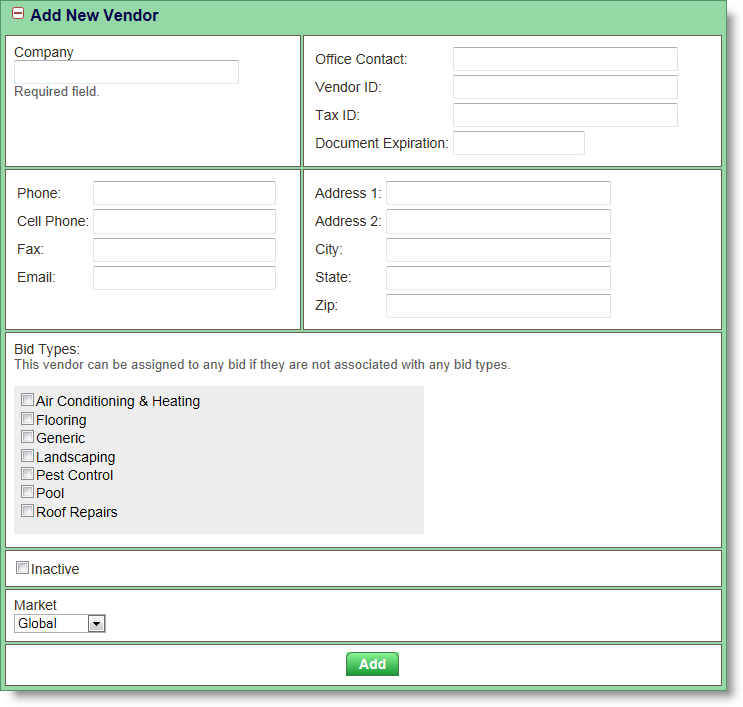 [NEW] Added Tax ID to Admin > Vendors. 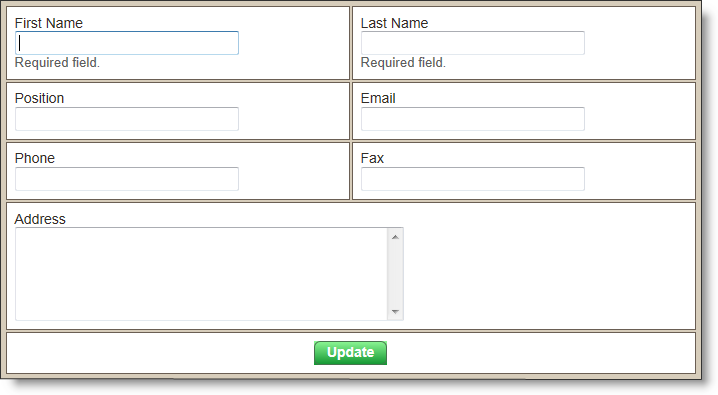 [NEW] Added Cell Phone to Admin > Vendors. [NEW] Added Document Expiration to Admin > Vendors.